Budget sports shoe brand Campus, which recently got demerged from its parent company Action Group, has secured its first institutional round of funding. Delhi-based Campus Activewear Pvt. Ltd has raised an undisclosed amount in funding from TPG Growth, the growth equity and mid-market buyout fund of private equity firm TPG Capital Inc, and QRG Enterprises Ltd, the family office of the promoters of Havells Group. VCCircle was the first to report in June that Campus was moving away from its parent company to reposition itself as a mid-segment category player in the sports footwear segment. “Leveraging the resources, on-the-ground knowledge, and business building experience of our new partners at TPG Growth and QRG, we become even better equipped to provide India’s consumers with footwear that carries them through their day to day” said Nikhil Aggarwal, CEO, Campus. As part of the transaction, TPG's India head Puneet Bhatia and Havells Group's Anil Rai Gupta will join the company’s board. “Driven by an increased attention to health and wellness and growing preferences for casual, multi-use shoes, India’s sports and footwear market is growing quickly,” Bhatia said on backing Campus. Campus was launched in 1997 by HK Aggarwal, the founder of the diversified Action Group, which owns about 30 sub-brands across sectors such as chemicals, steel and real estate. Nikhil Aggarwal, who joined the business a few years ago, said the conventional nature of a family-run business did not provide him with an opportunity to experiment with technology and pricing points. Finally, he decided to part ways in April. Campus Activewear, the new company, offers a wide range of products including shoes for running, gymming and other lifestyle activities. The average price point is Rs 1,500. Campus has decided to create a niche for itself by moving away from the multi-brand store model to launch exclusive outlets. It has launched three exclusive brand outlets in Delhi recently, and aims to launch 50 more over the next 12 months. Nikhil Aggarwal has also been contemplating expanding Campus’s footprint overseas. Besides, the company is eager to tie up with retailers such as Shoppers Stop, Reliance and Walmart. Aggarwal, however, ruled out e-commerce platforms. Several Indian footwear makers have attracted big cheques from institutional investors in the past, and some of them have even listed on the bourses. 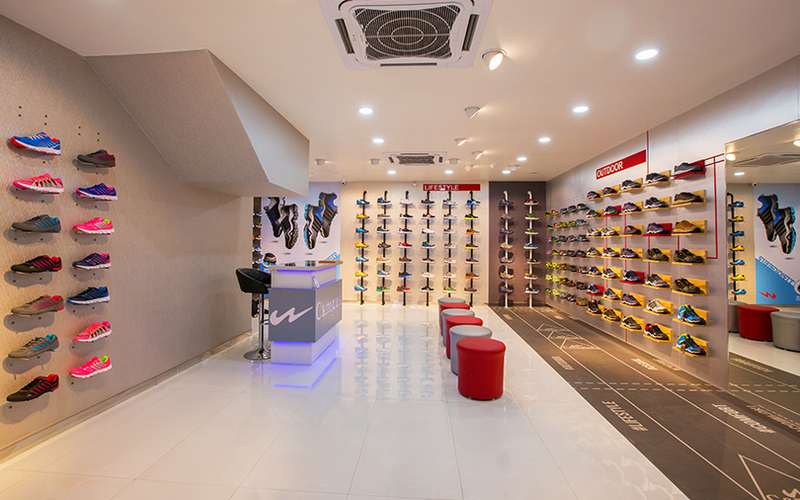 Fairwinds PE-backed footwear firm Khadim is looking to float an initial public offering to provide an exit opportunity to its investor. Private equity firm WestBridge Capital-backed Relaxo and Bata India are other listed footwear manufacturers in the country. Last year, WestBridge had increased its stake in Relaxo.